Colorectal Cancer is the second-leading cause of cancer deaths in the U.S., even though it is among the most preventable cancers. Early-stage detection greatly increases survival, and removing precancerous polyps stops them from turning into cancer. Yet as many as one-third of U.S. adults aren't up to date on their colorectal cancer screening! That's why Mayo Clinic is participating in the #80inEveryCommunity campaign toward the 80 percent screening goal, as a member of the National Colorectal Cancer Roundtable. 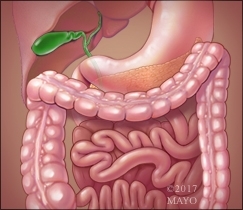 To increase understanding of risks, prevention, screening options and treatment for both colon cancer and rectal cancer, Mayo Clinic colorectal cancer experts have answered some common questions through short videos. We'll be posting a new Colorectal Cancer Expert Q&A video each day during March on Mayo Clinic's Facebook, Twitter, Instagram and LinkedIn accounts. Watch the Expert Q&A videos below to learn more. Ask questions, get support and talk with people like you in the Colorectal Cancer group.